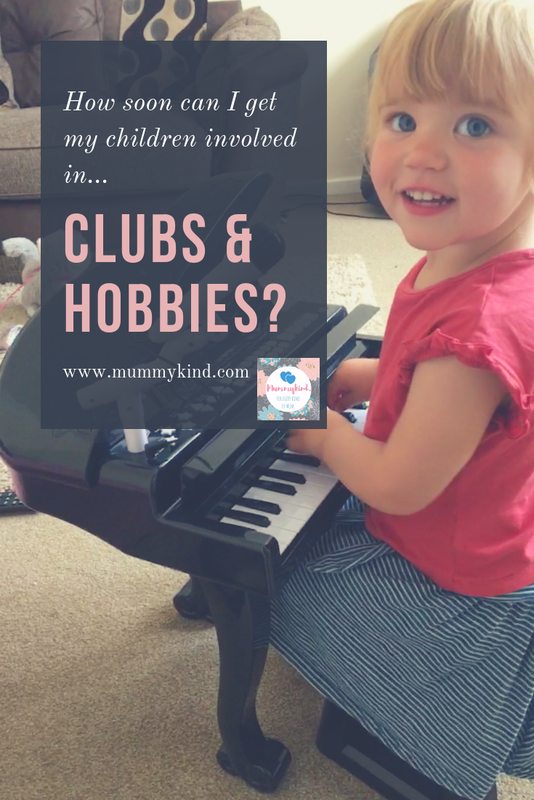 How soon can I get my children involved in clubs and hobbies? I could not wait to sign Olivia up to all kinds of clubs and lessons! 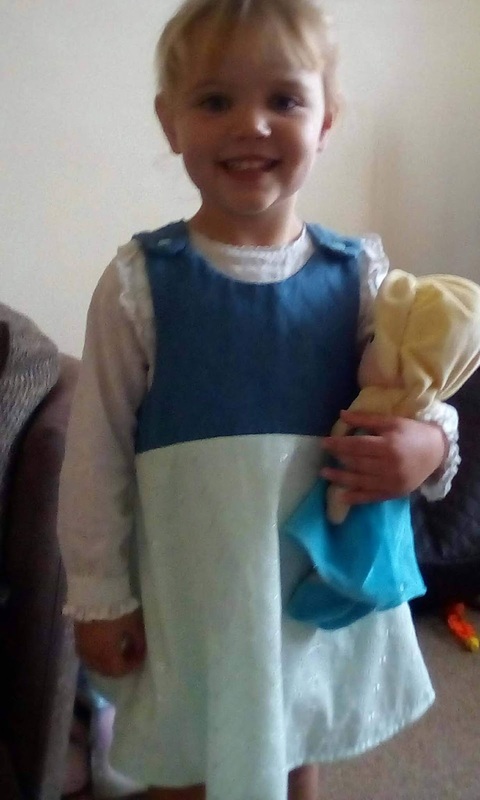 This weekend, she went to her first one – a local tots and mums dance club and she absolutely loved it. She is 2. 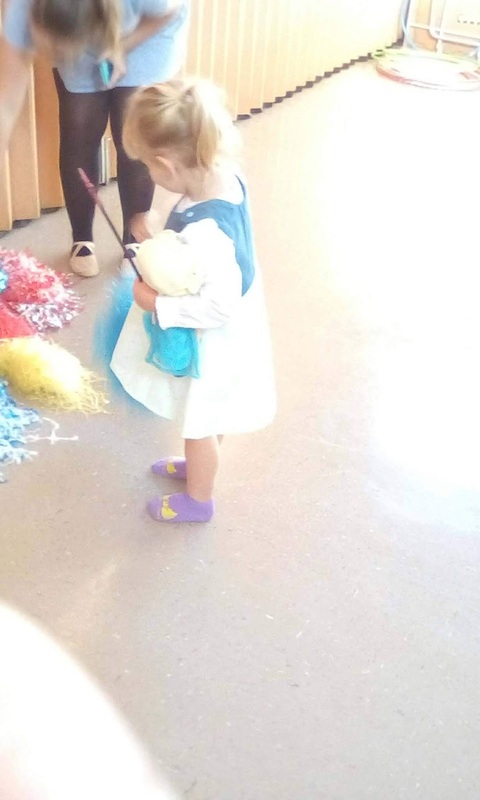 The club is aimed at children under the age of 2 and a half, and involves loads of props including sparkly fairy wands (anything sparkly is a win for Olivia), flags, pom poms, bean bags, a big colourful parachute, and teddy bears. I’ve been looking at so many things that I want her to do. A little while ago at a fun day organised by our Grenadier Guards Welfare, she had the chance to ride a donkey. Her face was an absolute picture. I was excited because she was so excited. After that, I started looking at horse riding lessons for her. I did find one place close by that would take children aged 2 and up, but it was too far away for me before I was driving! Once she hits 3, there are so many more things that she’ll be able to do! 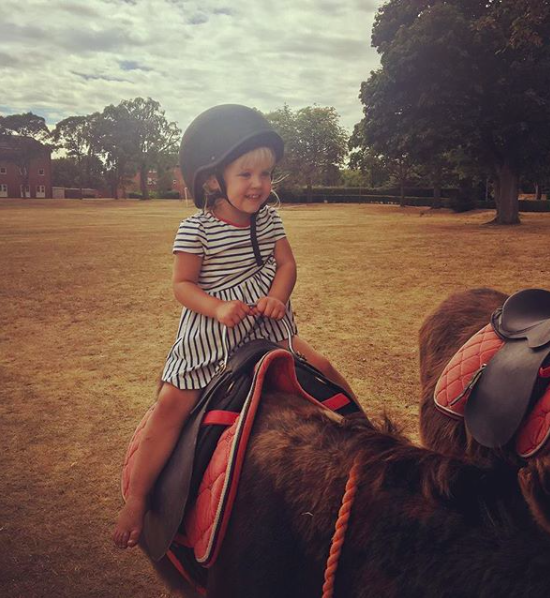 Horseriding is a must – she has a real affinity with animals and I wish I could properly convey how much she loved riding the donkey. I’d also like to get her playing a musical instrument. 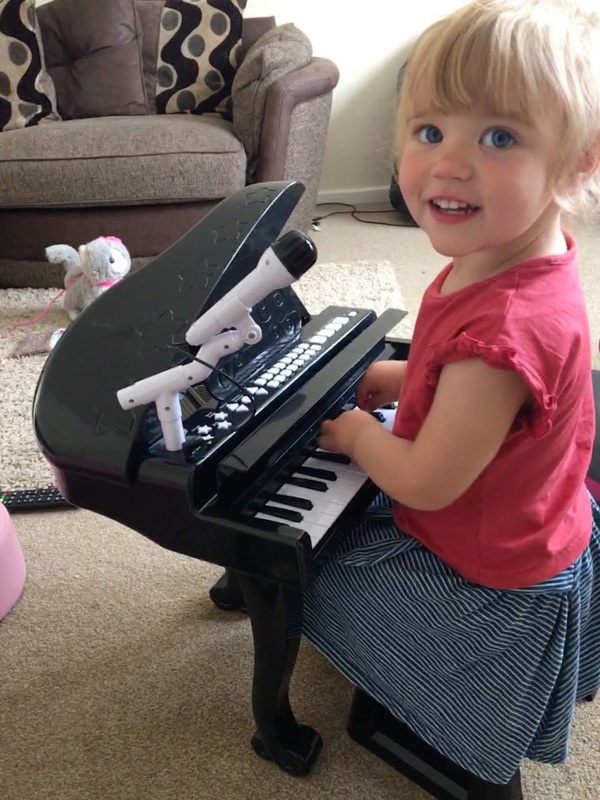 For her birthday I bought her a toy grand piano (it is so cute and probably the only grand piano I will ever own). It has a little microphone with it which Olivia loves signing into, and so I think that the piano will be the best instrument to start off with. I’m not sure on when is the best age to start a musical instrument, and it largely depends on the instrument itself. My stepdaughter asked us to find her a saxophone teacher – don’t ask me why! I have no idea why she wanted to learn the saxophone, however being only 8 years old I had a lot of difficulty finding someone who would teach her to play. Larger instruments that need to be held will mean that children have to be older to start to play. Some advice I was given was that they have lessons in smaller instruments of the same family first, e.g. the recorder or the flute! I don’t know if Olivia will continue to enjoy playing the piano when she starts lessons, and I don’t really know when she can start! I’ve heard of 3 year olds having piano lessons but in a way I feel like that’s maybe too soon for formal lessons… Maybe I’ll review that when she gets to 3! The last thing I want to get her into is boxing! 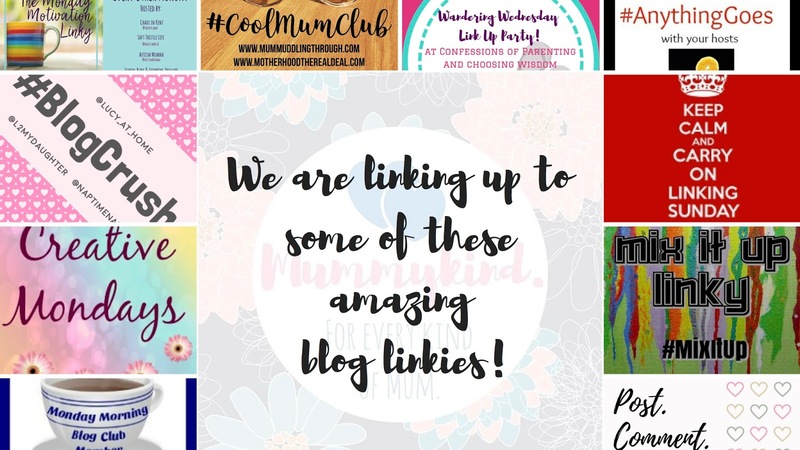 Again, she can’t really do this yet, however she goes on a Monday evening with the childminder while her son does boxing classes and they’re great about letting the little ones run around and join in. Because she’s already familiar with the environment there, that’s something I really want to get her into! Not least because she loves giving me “high-fives” whilst wearing Daddy’s boxing gloves! Plus, I want to do it myself and I love the idea of boxing being a whole family activity. Kiera went to boxing a couple of times a week until recently and I know she absolutely loved it, and it’s possibly the best kind of fitness for anyone, adult or child! Maybe I’m already exhibiting “pushy parent” behaviours, but you can make your own mind up about that! I don’t want to force her to do all of these things, but I’m just so excited to get Olivia involved in these things because not only will she enjoy them, but they’ll be hobbies for life and they’ll stand her in such good stead in the future. She’s already showing signs of being a performer and I want to nurture that, as well as her love of horses and how energetic she is! 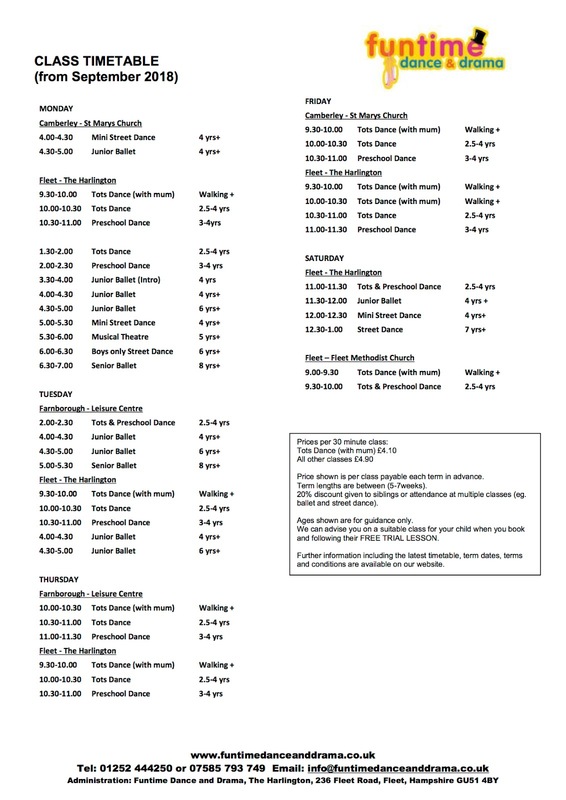 These are all just ideas for now, and I’m enjoying the bonding time that we have on a Saturday morning doing our dancing club. Have you taken your tot to any clubs or activities? How old were your children when they had their first music lessons? Next Post Organix Snacks for Babies and Toddlers!